After enduring a horrible break up with Mathew Janney, a rugby star. Emma Watson, the Harry Potter star, is now back on the market. She seems to have found a new love interest in someone else. She is dating with an actor and a producer, Roberto Aguirre. The two are believed to have been friends since their first meeting in 2005 when they met on the set of Harry Potter and the Goblet Fire. At that time, Roberto Aguirre, 27, was on an internship program in the department of special effects when the two of them became friends. Are Watson and Aguirre really dating? Although, they have not yet confirmed their relationship and dating officially, rumors have it that they have been spotted out in Los Feliz, California having lunch together and looking pretty close. As much as the two have tried to remain be silent about their relationship, there are evident signs that the two are in love and dating. On Emma’s birthday, Aguirre couldn't hide signs of attraction to Emma. 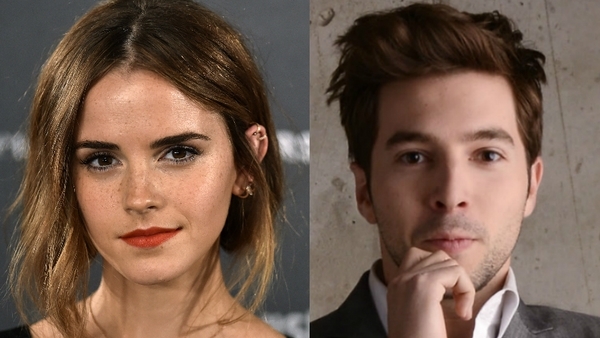 He sent her a lovely happy birthday message, via Twitter, that contained sweet and romantic words about Watson. He tweeted to her: "Happy birthday to one of the most amazing, beautiful and amazing woman people I know. You mean the world to me." These words clearly indicate how Aguirre is in deep in-love with our pretty Watson. In 2012, Aguirre spoke about their friendship and relationship to justjared.com. At the moment, fans are just waiting to see whether the actress will find love and happiness again after her last breakup. They want to see how Roberto Aguirre has conquered friendship zone to establish a strong relationship. Emma Watson explains how her career affects her love life and how serious relationship leaves her vulnerable. This couple is said to be busy building their acting career.